Click on any of our services below to read more! $30 Per 15 Minutes. Billable to Insurance. What it includes: 1 hour one-on-one counseling making your own unique detox plan. Overview: This service will help you identify the specific ‘toxins’ in your life. You will learn about the different ways the body removes these toxins and what you can do to support these systems. 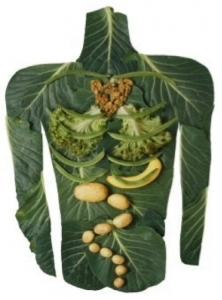 You will develop specific diet detoxification strategies based on your needs. On-Line Blood Pressure Class- Your Map to Medication Freedom. What it includes: Lifetime access to online blood pressure control course with over 20 videos and lectures. Fee also includes copy of course textbook- ‘Blood Pressure Down’ by Janet Bond Brill PhD, RD, LDN. Overview: This is a self-paced on-line course for adults who want to control their blood pressure and prevent or reduce their need for medication by changing their diet. This course goes way beyond eat less salt and lose weight. It will help you understand the many facets of food that can significantly lower your blood pressure whether or not you are on medication. We will explore how the food you eat controls your blood pressure, and we will show you how to make delicious, easy to prepare foods using the products available in our area. In addition, there are videos on other lifestyle interventions that help lower blood pressure- including yoga, deep breathing exercises, using biofeedback devices, meditation, and exercise. You will learn how to take your blood pressure from home so you can track your progress! *****After receiving your registration fee, we will send you an access coupon for the course and your textbook! 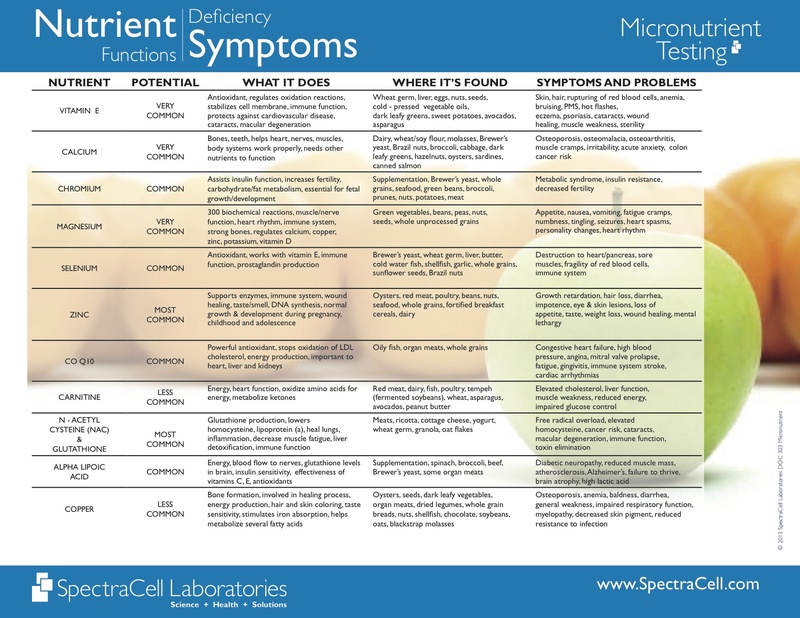 Click Here for a great handout on Nutrient Functions and Deficiency Symptoms. “Micronutrient testing offers a unique, scientifically based evaluation of functional deficiencies that allows targeted treatment with nutritional supplements…improving patient compliance with tailored therapy and success in the treatment of a variety of diseases”. Mark Houston, M.D., Hypertension Institute, St. Thomas Medical Center and Vanderbilt University. Click here to watch Video Overview. 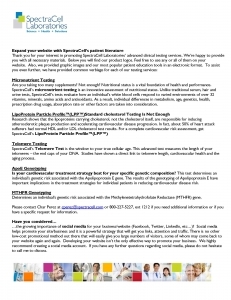 This is a genetic testing service for personalized nutrition. It includes 2 appointments that can be face-to-face or over the phone. The first 20 minute visit includes sample collection, or this may be mailed to you if you prefer. Once Georgia gets your results, a second 20 minute visit is scheduled to review the findings. Expect 3 weeks for results. The results include clear, customized, evidence-based dietary advice that builds on current population-based recommendations. 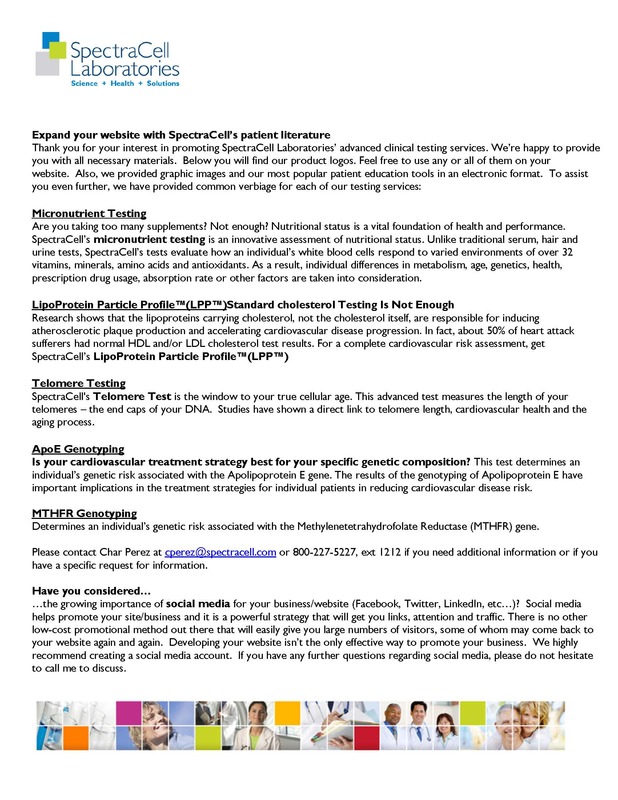 By providing a saliva sample, you will be tested for 45 genes that affect response to various nutrients, including iron, vitamin C, folate, whole grains, omega-3 fat, saturated fat, sodium, and caffeine. With 99% accuracy, these tests are based on peer-reviewed studies published in the top scientific and medical journals. 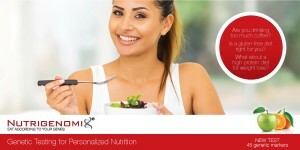 This service is ideal for truly developing a tailored nutrition plan. This makes a great gift for loved ones or anyone with a strong interest in disease prevention through food. For remote service- pay here and Georgia will contact you and mail you a kit.